A unidentified drilling rig south of Durango works in 2012 at a existing well pad near U.S. Highway 550. ConocoPhillips has struck a deal to sell its San Juan Basin assets for up to $3 billion. ConocoPhillips has announced the sale of its interests in the San Juan Basin – a natural gas and oil field that spans northwestern New Mexico and southwestern Colorado – to Hilcorp San Juan LP for up to $3 billion. Hilcorp San Juan LP is a partnership between Houston-based Hilcorp Energy Co. and Washington D.C.-based The Carlyle Group, a private equity firm. In November, ConocoPhillips announced its intent to sell up to $8 billion of mostly North American natural gas assets, which would include all of the 1.3 million acres of leasehold in the San Juan Basin. The announcement caused a stir in Southwest Colorado as the region continues to reel from a downturn in the natural gas industry, affecting local jobs and revenues to local governments. ConocoPhillips and its subsidiary, Burlington Resources, are consistently within the top 10 taxpayers in La Plata County. However, according to Hilcorp’s prepared statement, the company has promised to provide local jobs, stimulate the economy and support causes that benefit local residents. “When we make a decision to expand, we spend capital to increase production, improve infrastructure and extend the economic life of the asset,” Greg Lalicker, president and chief operating officer of Hilcorp, said in the statement. Hilcorp and Carlyle officials did not immediately respond Thursday to requests for additional details on its plans. ConocoPhillips operated about 10,000 wells throughout the San Juan Basin, contributing nearly 75 percent of Colorado’s entire coalbed methane production. “The San Juan has been a tremendous legacy asset for our company, and it has been a privilege to be a part of the Farmington community and the Four Corners region,” Davy Kong, a company spokeswoman, said via email. 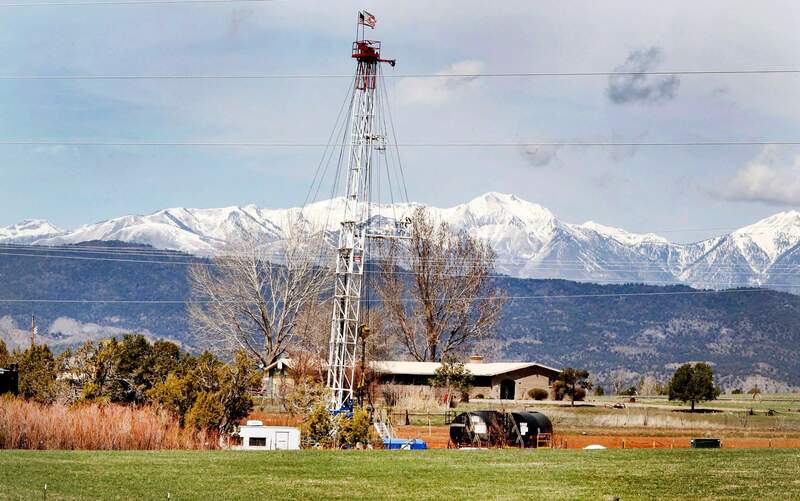 According to Colorado Oil & Gas Conservation Commission, 2016 saw record lows in both natural gas production and gas in La Plata County since the commission starting collecting data in 1999. Last year, about 308,291,600 million cubic feet of natural gas was produced and about 299,942,784 million cubic feet of natural gas was sold, according to the COGCC. For comparison, about 473,808,000 million cubic feet of natural gas was produced and about 467,004,890 million cubic feet of natural gas was sold in the county’s peak year of 2003. Regardless, according to Jason Rebrook, president and chief development officer of Hilcorp, the company remains confident it can turn around production and sales in the region. The recent news release said the transaction is subject to conditions being satisfied, including regulatory approval. The deal is expected to close this summer.